(Reuters) - Spaniard Rafa Nadal retired during a match for the first time in more than six years when he quit during his second-round encounter against Damir Dzumhur at the Miami Open on Saturday. 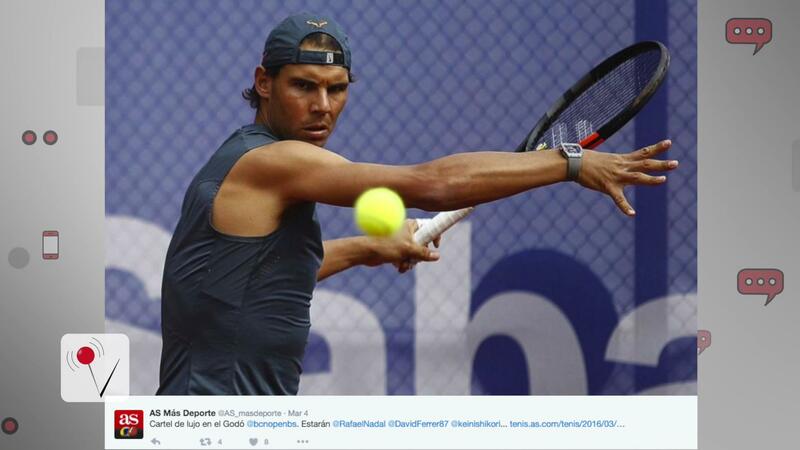 Sporadic boos greeted 14-times grand slam champion Nadal when he called it a day after seemingly feeling ill during the third set of his encounter in oppressive humidity in south Florida. The 94th-ranked Dzumhur, of Bosnia, led 2-6 6-4 3-0 at the time, and was up 30-15 on serve. The last time Nadal quit during a match was in a quarter-final against Andy Murray at the 2010 Australian Open. There was no immediate comment on the exact nature of Nadal's problem, but it seemed not to be injury-related.